Charter a private flight to Seville, capital of Andalusia and one of Spain’s most important cultural cities. Whether you’re booking a private flight to dance in the birthplace of flamenco, explore Gothic and Moorish landmarks such as the Alcázar of Seville, or for business based in Andalusia or Gibraltar, our team has access to thousands of Wyvern-certified private aircraft and can book the ideal aircraft for your trip. Our team at Jet Charter Europe believes in providing private flyers with a one-on-one consultative service experience that exceeds all expectations. The time, privacy, flight preferences and most importantly, safety of our clients are our top priorities, and our private air charter representatives are available for you by phone and email 24 hours a day, 7 days a week. When using our service, you can expect quick response times and an easy, hassle-free booking process. Request a quote or call us today and arrange your private charter flight to Seville, Spain. Enjoy the experience of traveling in a private luxury jet to the capital of southern Spain’s Andalusia region, Seville. 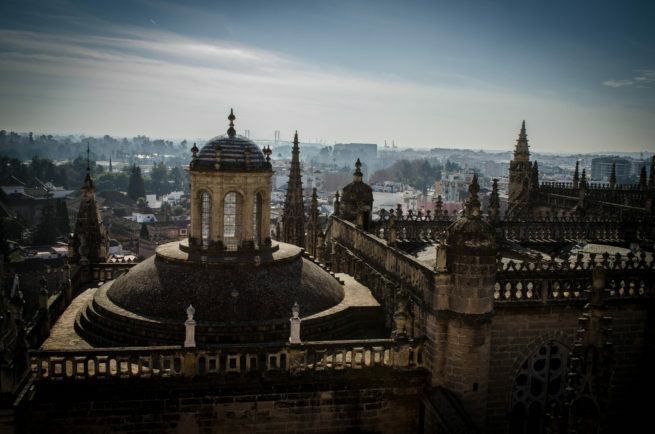 The city is known for its flamenco dance and Moorish architecture, most notably a massive Gothic cathedral home to Christopher Columbus’s tomb, as well as the famous minaret turned belltower, la Giralda. There are many options when it comes to five-star hotels for luxury vacations and business travel, and many of the best places to stay are conveniently located in the heart of the action. We’ve put together a list of luxury hotels and resorts based on many factors, including Jet Charter Europe passenger feedback, location, amenities and online reviews. Once you arrive in Spain via luxury private jet, our Seville Jet Charter service brokers can also arrange ground transportation to/from the hotel of your choice. 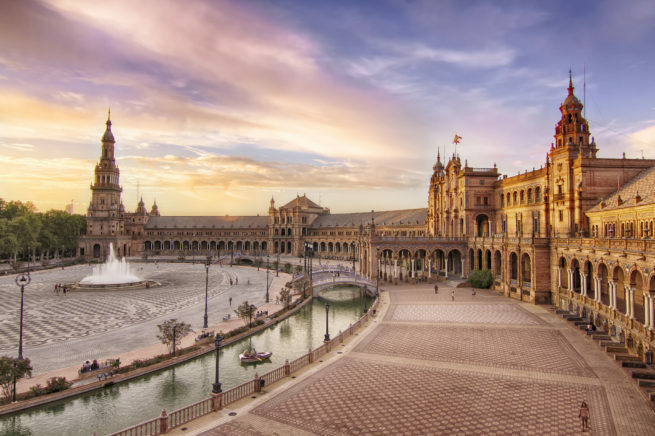 Spend a weekend in Seville by chartering a luxury private jet and experience typical Andalucia – sherry, sevillanas, toros and flamenco dresses. Located in the southern part of the country along the Rio Guadalquivir, it’s home to the Cathedral of Saint Mary of the See (Seville Cathedral), the largest Gothic cathedral and the third-largest church in the world. It’s also home to the bell tower “La Giralda”, originally built during the Moorish period, with a Renaissance style top later added by the Spaniards. Maria Luisa Park is the largest park in the city and one of the most beautiful in Europe – built in 1928, the Plaza de España (Spain Square) is located within the park, mixing elements of the Renaissance and Moorish Revival styles in Spanish architecture. 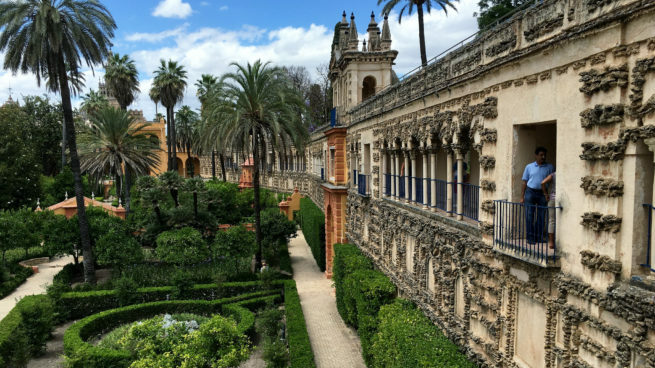 Historians will enjoy paying a visit to the Alcázar of Seville, a royal palace originally developed by Moorish Muslim kings, as well as the Torre del Oro, a watchtower built in 13th century in order to control access via the Guadalquivir river. Visitors interested in the Spanish tradition of bullfighting can head over to the Plaza de Toros de la Maestranza, a 14,000-seat arena dating back to 1758, making it the oldest bullring in Spain; bullfights are held on Sundays from spring to fall. The Seville Fair begins two weeks after Easter Holy Week, and is held along the bank of the Guadalquivir River, making the months of March through May a great time to visit the city before some of Europe’s most scorching summer temperatures roll in. Check out more of our recommendations for luxury private jet travelers while staying in Seville, Spain. Jet Charter Europe utilizes the following airports to fly clients privately to/from Seville, Spain and neighboring areas. Request a Quote or give us a call at 1-888-987-5387 to speak with one of our Seville Private Jet Charter service brokers for your next luxury vacation, business trip, or special event.